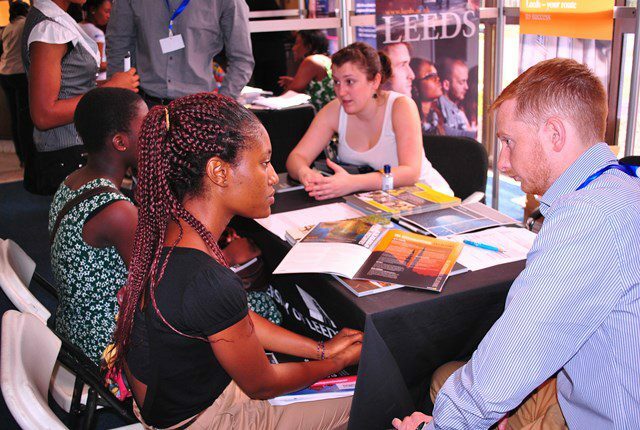 Over 45 top UK Universities have booked their tickets for this year?s Education UK Exhibition. Most of the participating institutions this year will be offering over 100 course options and more scholarship opportunities. A seminar on ?How to apply for a UK student?s Visa? will be delivered by a representative from the British Embassy. Attend the exhibition in Kumasi on the 10th February 2014 at the Golden Tulip Kumasi City and in Accra on the 12th and 13th February 2014 at the Accra International Conference Centre.